"For a commerce graduate like me who has very little understanding, the teachings here were really helpful to make my fundas clear. The precision and dedication with which things are taught here is really commendable and a great help to all students to become effective therapist. We were taught like a child being taught in his own house - with a lot of zeal, enthusiasm, love and urge to make us grow. Thank you very much for all the help and sharing." "The course was very good. There was enough practice and I got to learn a lot. Anatomy and Physiology was very good and easy to understand." "I initially saw the advertisement for the Pristine Senses Academy online, I emailed for information and was impressed with the prompt response. An interview was arranged and myself and my wife attended. The interview was conducted by Mr. Shah and his daughter Ankita (both tutors at Pristine Senses) we were very impressed with the professionalism of both of them. I already had previous experience with Anatomy and Physiology and bodywork techniques, so after an initial discussion a package was arranged that took into account my previous experience. with Mr. Tony Ilett (c) and his wife. 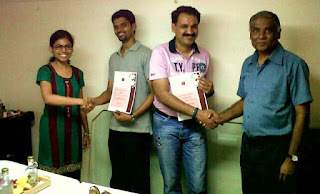 The training sessions were one to one with either Mr. Shah or Ankita. The environment was very clean, hygienic and relaxing. On my first day I was given a pack that consisted of a handbook on Swedish massage (I was also given a handbook for when I did the Balinese massage course), notebook, etc. 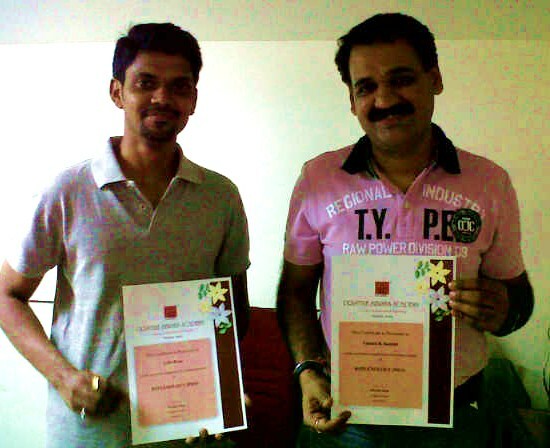 The techniques taught were very thorough and was explained at a good pace. With each session I was encouraged to get a helper that was of varying sizes and shapes so as to aid my massage experience. I think it was nice that my learning was incorporated into giving the helper a nice, relaxing massage. While I was being taught the lights were dimmed and soothing music was played, this also served to relax me in giving this massage. Learning at the Pristine Senses Academy was an enjoyable and very relaxing experience, both tutors were easily approachable and more than willing to explain things. Me and my wife would sit afterwards and have lunch with the entire staff or have chai. I would certainly recommend learning at the Academy, it is very professionally run, all correspondence was replied to immediately with either a phone call or email. By the end of my course me and my wife felt like part of the family. Even though I passed my courses Mr. Shah told me that if at anytime I was unsure of anything or needed advice that I should contact him immediately and would even give me another session free. I will shortly go back to the UK and look forward to putting into practice what I have learned here. I wish all at Pristine Senses Academy every success in their endeavors. God Bless. ".